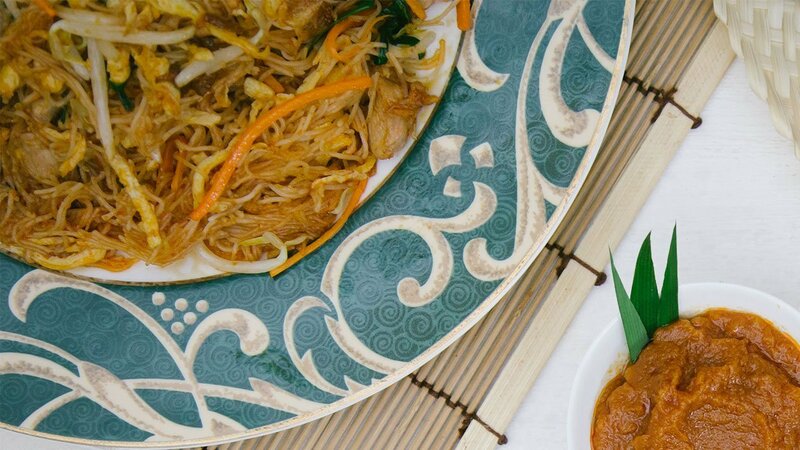 A classic stir fried Rice vermicelli dish that diners tend to crave for. Heat up corn oil, sautéed all ingredients (except Knorr Napoli Tomato Sauce Mix and Water) till fragrant. Lower down the heat, add Napoli Tomato Sauce Mix and Water and bring to boil. Sauteed all ingredients including Napoli Master Paste till fragrant. Add in the chicken chunk to cook and then add bee hoon. Low down the heat, add all seasonings (Knorr Chicken Stock and fish sauce) and ingredients. Sit well to balance flavor.